Borderline personality disorder (BPD) is an increasingly common diagnosis in the mental health profession. Unfortunately, BPD continues to be misunderstood and ineffectively treated. Part of the reason for this is that the behaviors associated with the disorder fit into many diagnostic categories, making it sometimes difficult to distinguish BPD from other disorders. 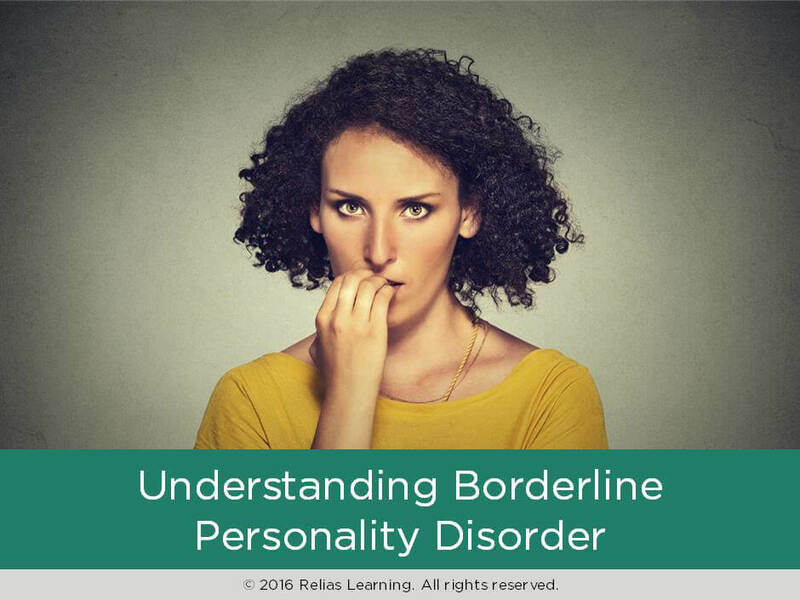 The main goal of this course, which is founded on the newest research in the field of personality disorders, is to give you the tools you need to accurately identify individuals with BPD and become knowledgeable about the treatment options available. Drawing upon information from Linehan’s Skills Training Manual for Treating Borderline Personality Disorder, you will learn about how BPD develops, the theoretical perspectives of BPD, the goals of treatment, and the challenges you might experience when working with this population. Finally, you will learn about some of the most common issues that individuals with BPD experience while in treatment. Using a blend of experiential lessons, research-based information, and detailed case studies, this course will help prepare you to assess and effectively treat individuals who have borderline characteristics and BPD. This training is appropriate for mental health professionals with basic to intermediate levels of experience in treating individuals with BPD. DSM™ and DSM-5™ are registered trademarks of the American Psychiatric Association. The American Psychiatric Association is not affiliated with nor endorses this course. List the criteria needed to identify and diagnose an individual with borderline personality disorder (BPD). Differentiate and discuss the theoretical perspectives of BPD. Describe the best evidenced-based treatment approaches to treating people who have BPD. Section 2: What Is Borderline Personality Disorder? Jodi Ceballos, Psy.D. is a Licensed Clinical Psychologist in both California and Texas. She earned her doctorate in Clinical Psychology from the CA School of Professional Psychology. Additionally, she has Master's degrees in both Marriage and Family Therapy (Springfield College - Springfield, MA) and Clinical Psychology (CSPP - San Diego, CA). She owns and operates a private practice in San Diego, CA and has been working in private practice since 2008. Dr. Ceballos has extensive experience working in various mental health settings (psychiatric hospitals, private practice, clinics, VA Hospital, school district, etc.) and across all age groups. Disclosure: Jodi Ceballos, Psy.D. has declared that no conflict of interest, Relevant Financial Relationship or Relevant Non-Financial Relationship exists. The target audience for this course is: entry and intermediate level Nurses; entry and intermediate level Social Workers; entry level Alcohol and Drug Counselors; entry level Marriage and Family Therapists; entry level Professional Counselors; in the following settings: Health and Human Services.